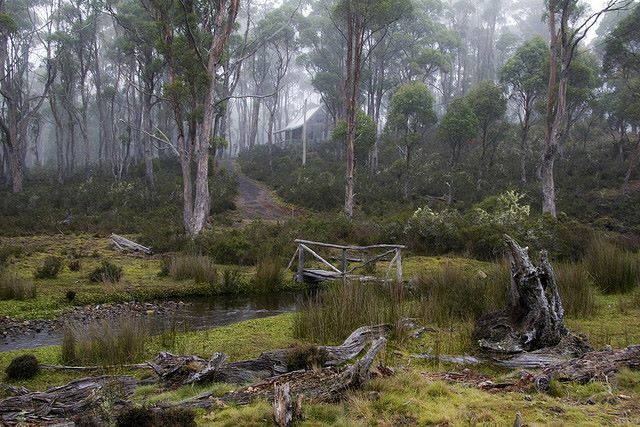 World-class walking in this glorious mountain wilderness in Tasmania's (very) wild west. This can be demanding walking in remote mountains with notoriously fickle weather. Come prepared. 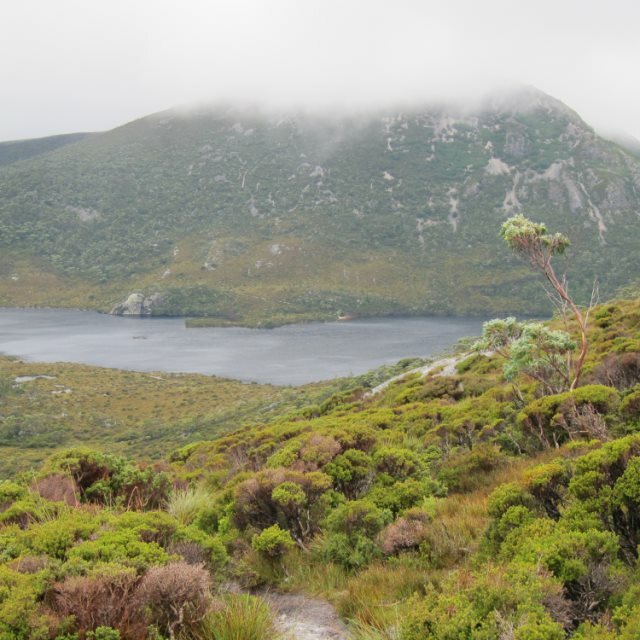 Tasmania's best-known mountain area sports some truly fantastic - and very varied - walking. But its fame brings visitors, so choose carefully if you like to get away from your fellow humans. This ancient dolerite landscape has been glacially scoured into a fantastic array of buttes,crags, lake-filled holes and valleys. Extreme weather is possible year round - always come prepared, and check likely conditions. 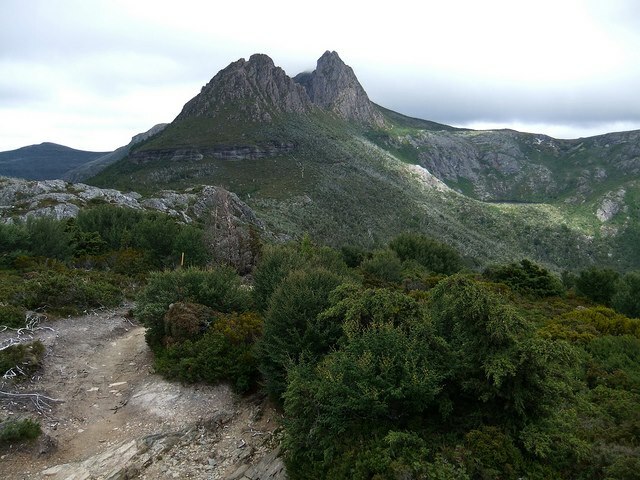 Cradle Mountain: a long (6-8hrs) but marvellous ascent of this 1,545m dramatic broken dolerite ridge, with cliffs falling away on almost all sides. 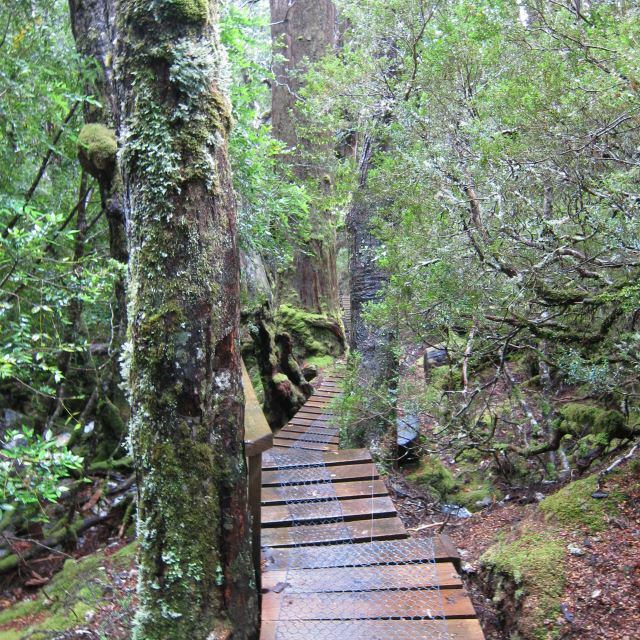 The main track leaves from Dove Lake, although this can get crowded so other starting places can have attractions. Outstanding views on a good day in all directions over lake, crag and ridge and the truly pristine wilderness of this World Heritage Area. Enchanted Nature Walk: short, easy walk in lovely old forest by a rushing stream. 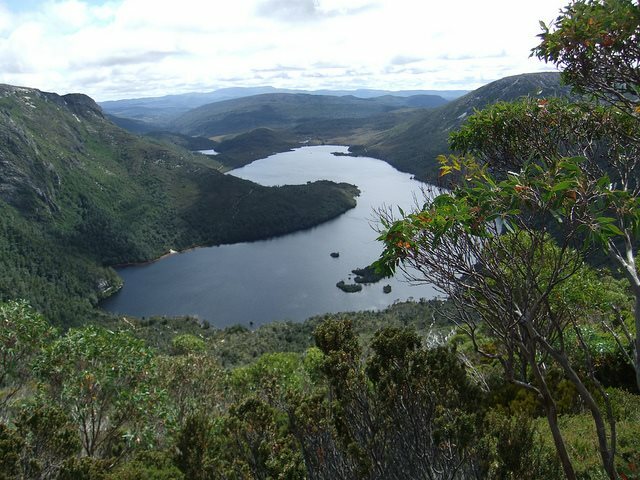 Dove Lake Circuit: 6 km (2hr) circuit around this lovely lake directly below Cradle Mountain. Wonderful but crowded. 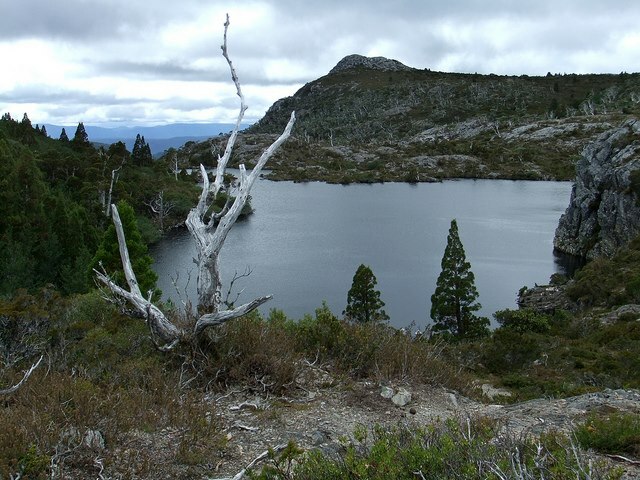 Crater Lake: a longer (2hr) circuit up to what is actually a glacial gouge out of the Cradle Mountain massif, then round and back through fine forest and bog-land. 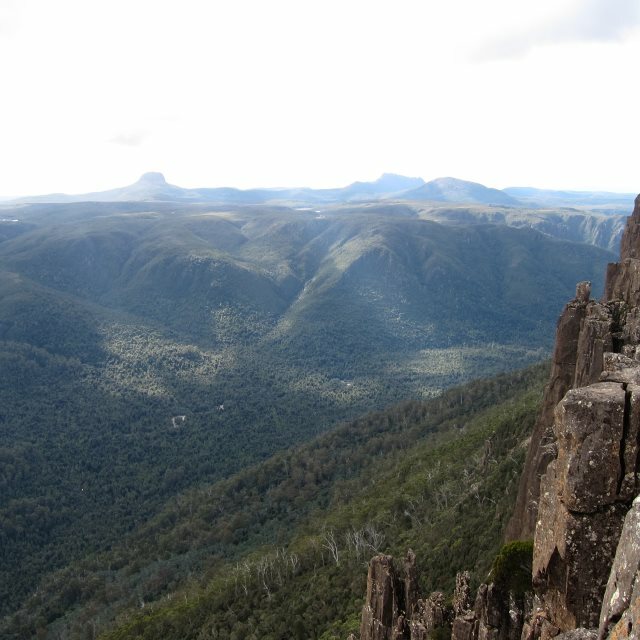 Mount Rufus: a long (7hr) but fabulous trail out into remote country to this lovely peak. Shadow Lake: 4-5 hours out to this remoter lake. 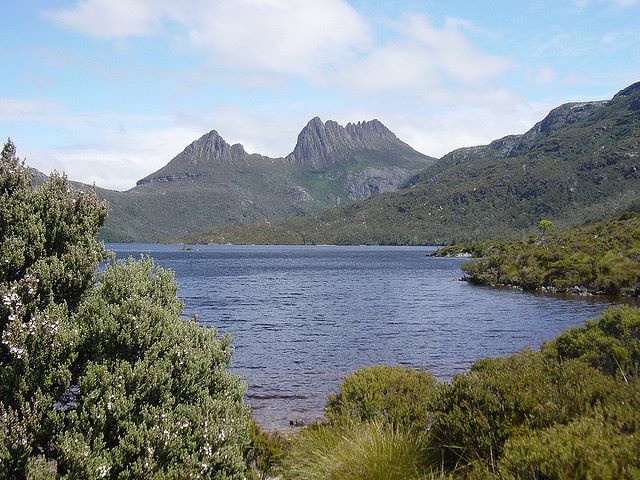 See: Cradle Mountain - Lake St Clair and Walls of Jerusalem National Parks by J Chapman and J Siseman. See www.overlandtrack.com.au. Wikipedia has a good Overland Track page, as has www.besthike.com. 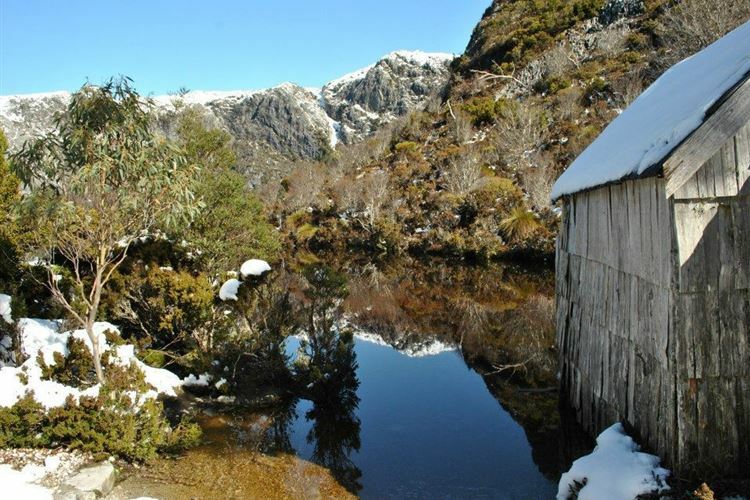 There's some great accommodation, complete with guided walking, at the Cradle Mountain Huts. 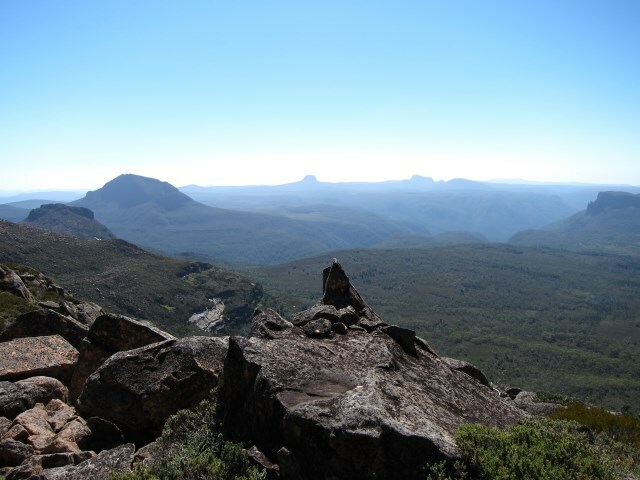 See Great Walks of Australia for more details. Cradle Mountain Highlanders Cottages :well-loved wooden cottages in a fabulous wild setting (0061 3 6492 1116; cradlehighlander.com.au; doubles from A$115 (2012)). 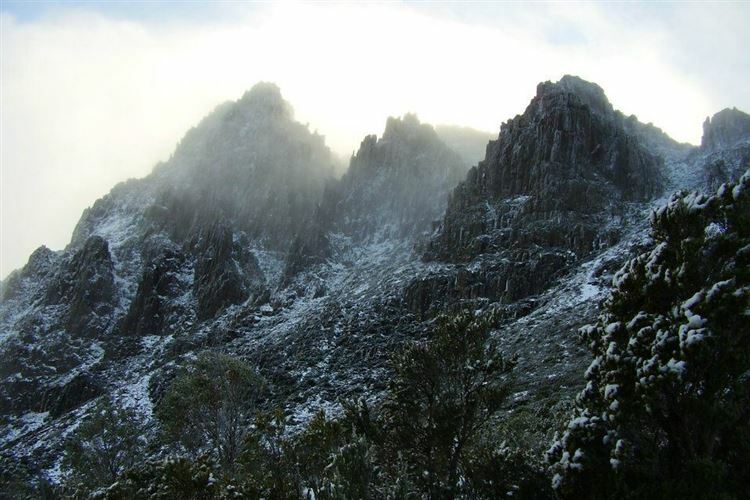 Cradle Mountain Lodge :well-established, comfortable collection of cabins. 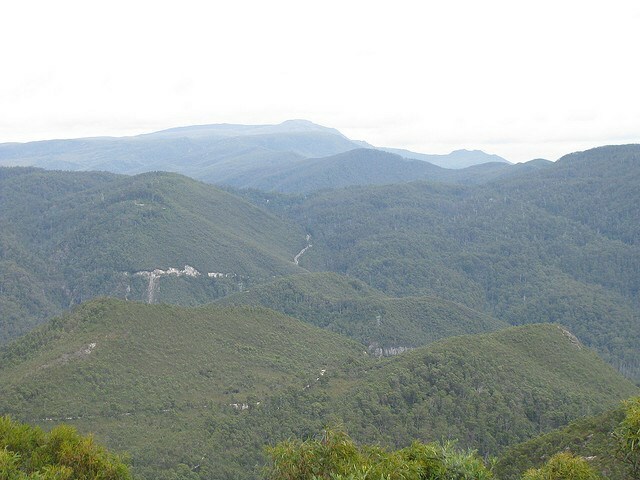 Walking, spa, and the best food in the area (6492 2103; cradlemountainlodge.com.au; doubles from A$310 (2012)). 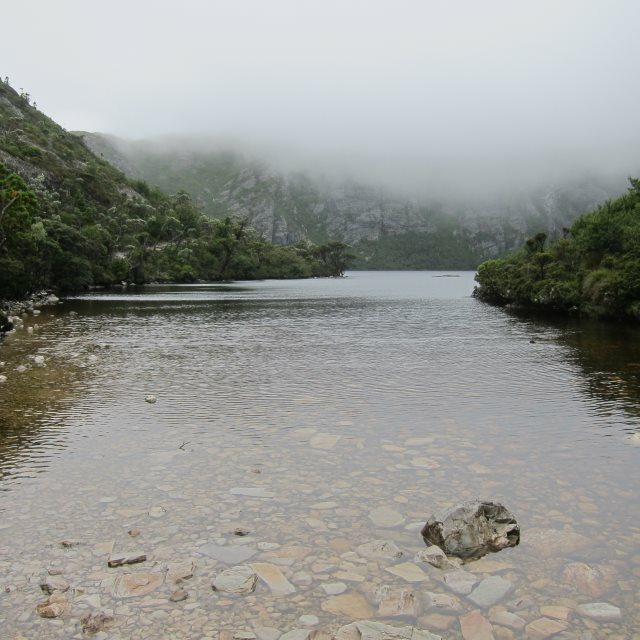 There is an error in your listing of the Cradle Mountain Area. Your site indicates a "No" in the "Day Walks Possible" column. 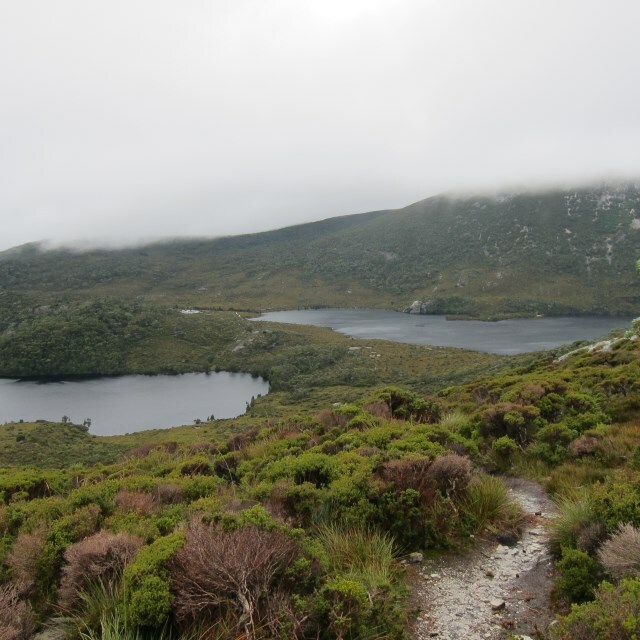 I can tell you that there is a magnificent range of day walks in the Cradle Mountain area, some of which you actually list. I suggest you change this listing to reflect the actual situation.